Earthing is an integral component of any power system. Substations, generating stations and transmission lines all require adequate earthing to ensure protection from power system earth faults. The design and testing of earth grid systems is necessary to ensure compliance with safety regulations and to ensure public safety. 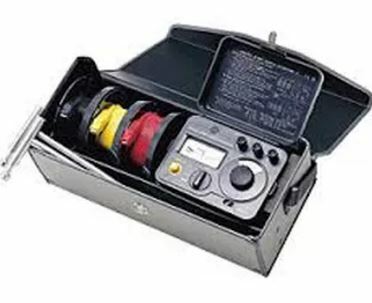 There are a number of reasons as to why degradation to an earthing system would occur and the RANS High Voltage Electricians will use state of the art equipment to determine if there are any faults in accordance with the Australian standards. 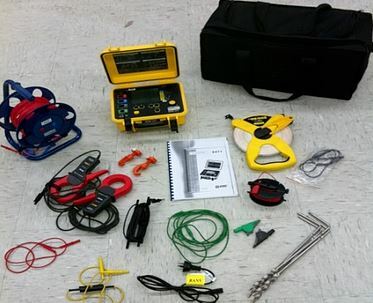 The ground resistance test set is capable of ground resistance with two clamps, bond/connection resistance, ground resistance, selective ground resistance and soil resistivity. We are able to make accurate measurements under difficult conditions as it uses the alternating current potentiometer method to provide measurement accuracy, and because it contains features such as an auxiliary grounding resistance check feature and measurement frequency switching.